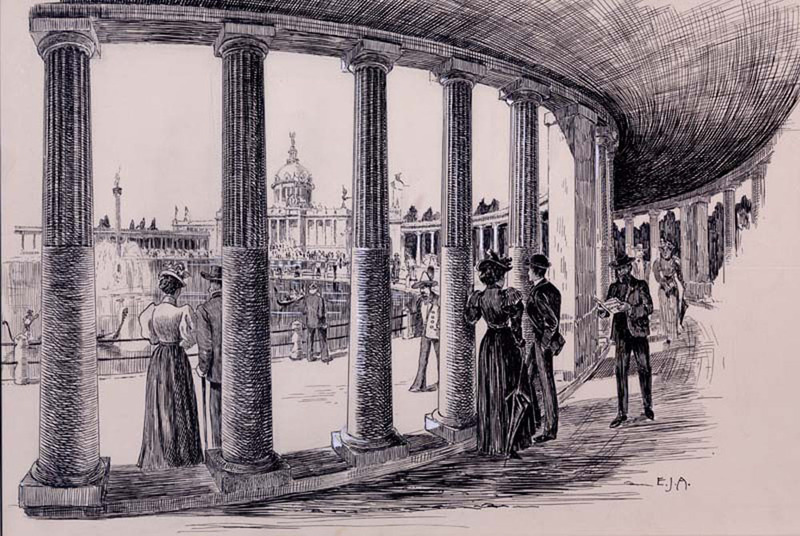 Drawing of West Colonnade with view of Fountain of Nautilus and U.S. Government Building. Fairgoers populate the grounds. Framed illustrations.